NUOVO KIT DEPILAZIONE PROFESSIONALE SCALDACERA CERETTA CERA BRASILIA SPATOLE IN LEGNO MONOUSO STENDICERA ROTOLO STRAPPACERA. Spediamo con i seguenti corrieri: GLS - DHL. AUTHENTIC SOLID COPPER SHAVING BOWL. Healthy Tin Plated Inside. Shiny Copper Color Outside. Cut throat shave the BlueBeards way with this replaceable blade razor. The BlueBeards Revenge Cut Throat Razor. Laser etched with the distinctive BlueBeards Revenge Skull. Replaceable blades so no need to sharpen. In Sekundenschnell seidig und glatte Haut! Schmerzlos! Very Good - "ITEM WITHOUT THE ORIGINAL PACKAGING"
Fits All Wahl Clippers. 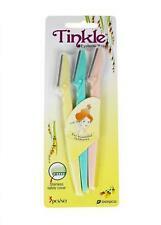 Glass and mineral filled plastic teeth which seamlessly glide through hair for a smoother cutting experience. Made from durable materials so the teeth do not bend as easily as alternatives. 100% brand new and high quality.The new double-head of quality assuranceWear-resistant steel, smooth veneerType: Replacement Shaver HeadsPackage include:3 X Shaver Universal Suitable for: HQ6075 HQ6090 HQ6095 HQ6070 HQ6071 HQ6073 HQ6080 HQ6095 HQ5705 HQ5710 HQ5715 HQ7310 HQ7320 HQ7340 HQ7360 HQ7380 HQ7100 HQ7120 HQ7180 HQ7290 HQ7160 HQ7240 HQ8825 HQ8850 HQ8875 HQ8890 HQ8830 HQ8845 HQ8885 HQ8894 HQ8865 HQ8880 HQ8445 HQ8870 PT710 PT715 PT720 PT724 PT725 PT726 PT727 PT728 PT730 PT734 PT735 PT737 PT786 PT860 PT861 PT866 PT868 PT870 PT877 PT878 PT880 PT890 AT750 AT751 AT752 AT753 AT754 AT757 AT758 AT810 AT811 AT814 AT815 AT830 AT880 AT890 AT890 AT891 AT895 7183XL, 7180XL, 7145XL, 7140XL, 7120XL, 7115X, 7110X, 7260XL, 7250XL, 7240XL, 7310XL, 7315XL, 7325XL, 7345XL. Modo istantaneo e indolore per ritocchi delle sopracciglia, adatto anche ad altre parti del corpo. Veloce e conveniente per facili ritocchi intorno e sotto le sopracciglia. rilasciati con negligenza e dolo;. Use Ingrow Go after you shave or wax to ensure beautiful smooth results. 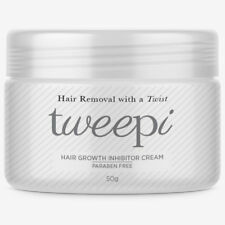 Perfect for legs, underarms, bikini line, face or anywhere skin is prone to ingrown hairs. Are you shaving less often because you’re worried about the effect it has on your sensitive skin, resulting in; redness, irritation, dryness or a rash?. You no longer need to compromise having a close shave, now that there’s a solution which is designed specifically for sensitive skin. Wahl 9818-016. Wahl 9818-016Wahl 9854-616Moer 3017-0050. Jetzt kaufen. Das wären Verstöße gegen internationales Handelsrecht /. passend für Wahl Wahl 9854-616. Diese Kosten sind vom Käufer zu tragen /. For IPL5000 / IPL4000 systems. IPL (Intense Pulsed Light) Technology -used in professional hair removal clinics. Multi-flash mode makes it one of the fastest IPL systems. Bulb Life: 1,500 flashes. Garantisce uno strappo deciso e delicato allo stesso tempo. Caratteristiche: Contiene idratante Burro di Cacao, eccellente per la pelle secca. Adatto per la depilazione su tutte le parti del corpo e tutti i tipi di pelle. TONDEUSE CHEVEUX ET BARBE. FILAIRE SUR SECTEUR. 4 SABOTS (3/6/9/12 mm). ciseau,peigne, brosse de nettoyage et flocon d'huile. 220/230V 50 Hz. Professional Barber Straight Cut Throat Shaving Razor. 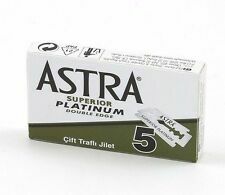 Suitable For Single Edge/Half Blades. Why should you buy our products?. 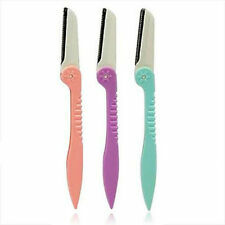 INCLUDES Wide Head Epilator, Precision Epilator & Smart Tweezers. Wide head epilator for fast hair removal and Precision epilator for sensitive areas for total body hair removal. Enjoy satin-smooth skin with this new total body limited edition epilation set. Brand New and Quality 3 x Shaver Electric Razor Blades Heads Cutter Replacement for Philips HQ8 AT890 The Razor head is compatible with the following Philips shaver razors: PT730, PT735, PT860, PT870 AT750, AT751, AT890, AT891, HQ7120 HQ7100, HQ7140, HQ7160, HQ7180, HQ7200, HQ7240, HQ7290, HQ7742, HQ7760, HQ7762,. Hair clipping just got a whole lot easier and much more fun with the Remington Colour Cut. Each guard is colour coded to make it straight forward to select your desired length. Styling comb. Neck brush. AC Adapter compatible with No! Compatible with following Models: No! NoNo Hair Removal System Model 8800 / 8810 / 8820;. HQRP trademarked products. Hours of Operation. Good product. No problems, works fine, A .
S5100 S5110 S5130 S5210 S5230 S5310 S5355 S5370 S5380 S5500 S5560 S5570 series. Intuition Sensitive Care with all-new pro-vitamin B5 plus Aloe and Vitamin E. Lather and shave in one step, without the need for shave gel - just add water. View our Piz Buin range. View our SunSense range. 12 Personna El Perfilador Eyebrows Disposable Shapers,12 Perfiladores de cejas . Bevel Safety Razor With 59 feather blades!